DAVIS Raised Floor Trunking System has been specially designed for the distribution of power, voice and data services in raised floor installations. This highly adaptable system provides the solution to virtually every challenge met by developers, architects and those involved in providing an efficient and easily managed system for both new constructions and buildings which are in the process of being refurbished and modernized. A Raised Floor Trunking, complete with DAVIS Quick Fix Lid system to ensure ease of installation and maintenance. 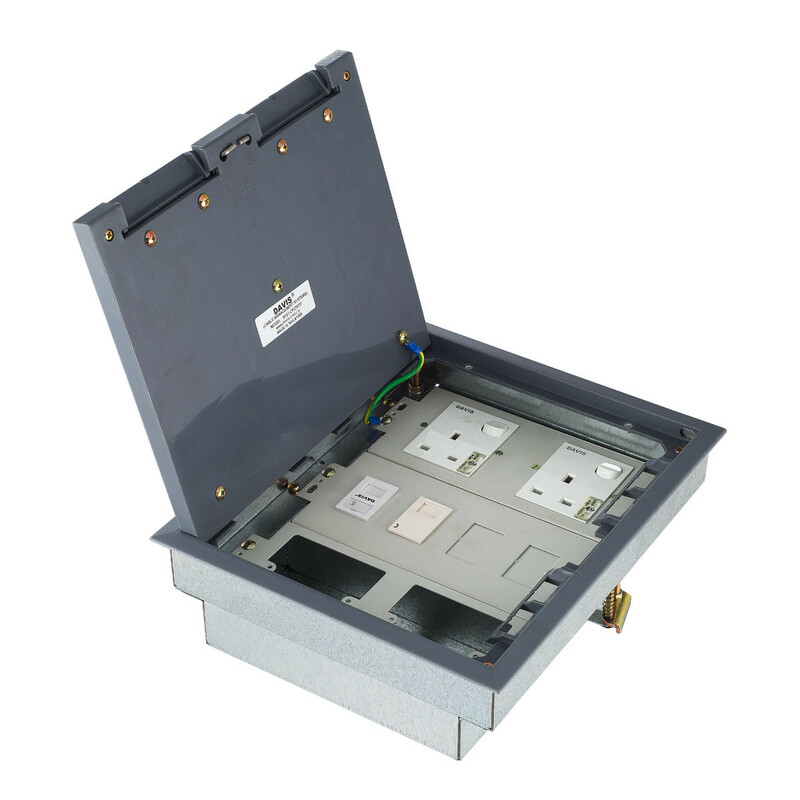 2 or 3-compartment Service Outlet box that accepts a wide range of power, voice and data socket plates. 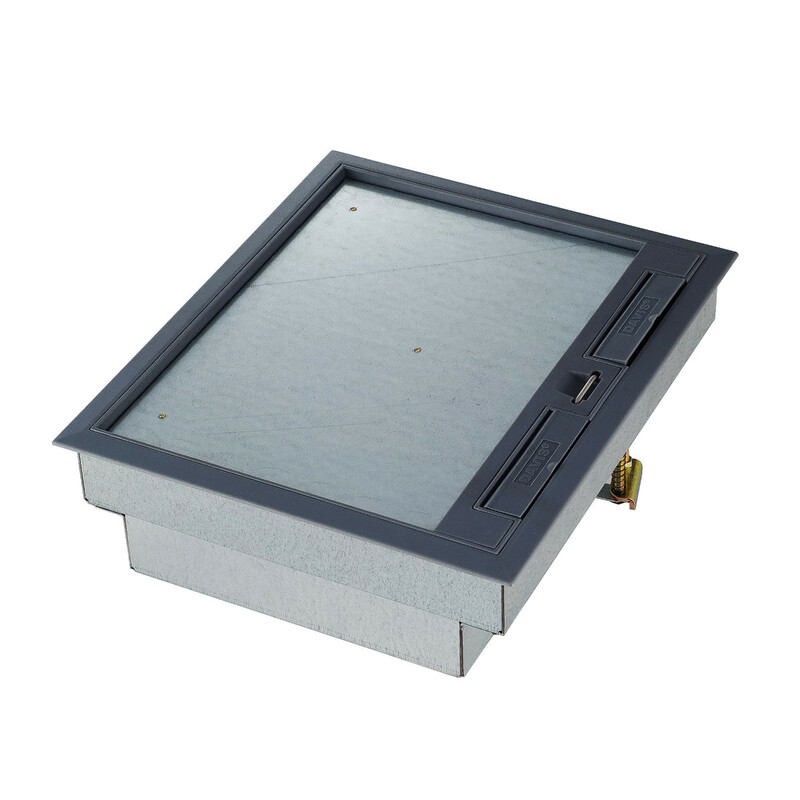 A comprehensive range of accessories including Junction Boxes, Header Boxes, End Caps and Offset Units. Designed and manufactured to meet the MOB PS2 PS/SPN specification for raised floors. Flexibility and versatility for future modification & expansion.